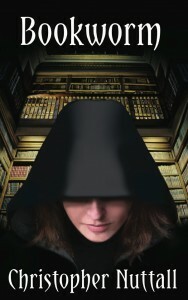 The first book in the Bookworm series, Bookworm, was published by Elsewhen Press in January 2013. 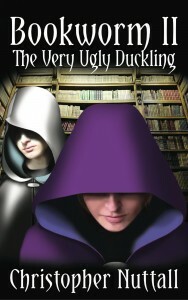 The second, Bookworm II: The Very Ugly Duckling, in January 2014. 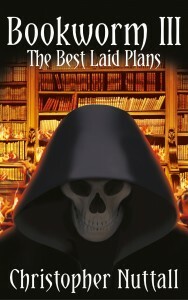 The third, Bookworm III: The Best Laid Plans, was published in February 2015, while the fourth and final book, Bookworm IV: Full Circle, was published in October 2015. The Bookworm series is available as unabridged audiobooks from Tantor Media Inc. narrated by Zehra Jane Naqvi. The audiobooks are available through major retailers. Elaine is an orphan girl who has grown up in a world where magical ability brings power. Her limited talent was enough to ensure a magical training but she’s very inexperienced and was lucky to get a position working in the Great Library. Now, the Grand Sorcerer – the most powerful magician of them all – is dying, although initially that makes little difference to Elaine; she certainly doesn’t have the power to compete for higher status in the Golden City. But all that changes when she triggers a magical trap and ends up with all the knowledge from the Great Library – including forbidden magic that no one is supposed to know – stuffed inside her head. This unwanted gift doesn’t give her greater power, but it does give her a better understanding of magic, allowing her to accomplish far more than ever before. In the wake of the disastrous attack on the Golden City, Lady Light Spinner has become Grand Sorceress and Elaine, the Bookworm, has been settling into her positions as Head Librarian and Privy Councillor. But any hope of vanishing into her books is negated when a new magician of staggering power appears, one whose abilities seem to defy the known laws of magic. Elaine and Johan are preparing to leave Golden City, with Daria and the travellers, in order to search for the Witch-King. The Grand Sorceress instructs Inquisitor Cass to help them. But before Elaine can leave she is arrested by two Inquisitors on the orders of the Emperor. When she resists she is hit with a powerful spell that forces her to concentrate all her efforts on protecting her mind from its intrusion. Taken to the palace she finds that the Grand Sorceress has been removed and the Throne has accepted an heir to the Empire. Realising this has to be the work of the Witch-King, Elaine must defeat the spell that is eating away at her defences if she is to escape and destroy him. Meanwhile, Johan, Daria and Cass are trying to find a way to get to Elaine and break her out of the cell in which she is being held. 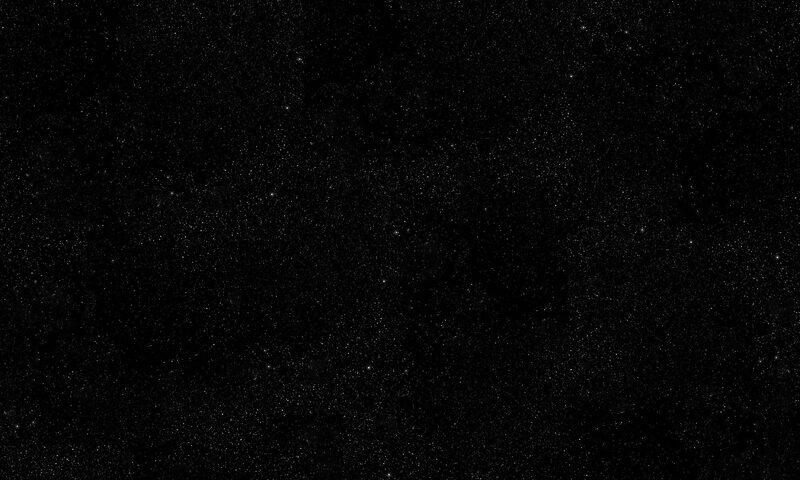 A new Emperor has arisen … and the Empire is collapsing into chaos. 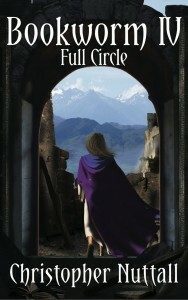 Having escaped from the Golden City, Elaine, Johan and their friends – including some strange allies with goals of their own – race desperately towards Ida, hiding place of the ancient Witch-King. Behind them, the armies of the new Emperor – a man permanently poised on the verge of madness – give chase, unleashing monsters and spells from the long-buried past on everyone who stands in their way. Ahead of them, the Witch-King waits, biding his time as he prepares for his ascension.